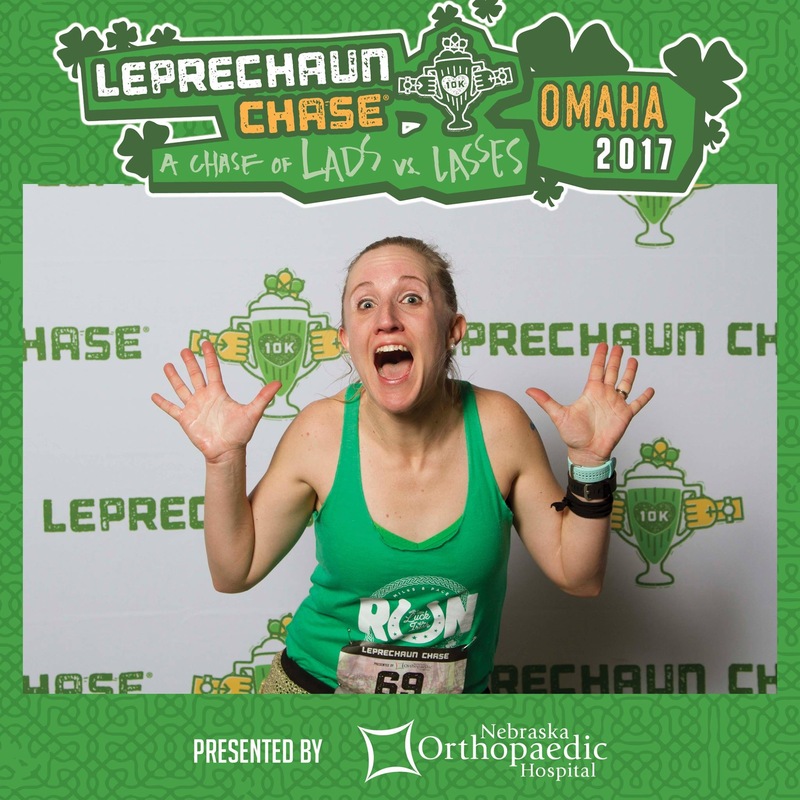 Leprechaun Chase 10K Race Recap! I received this tank top to review from Miles and Pace. I am an ambassador for PRO Compression. I was not compensated for this post and all opinions are 100% my own! Oh, man! I haven’t done a race recap in so long and I’ve missed doing it, so watch out! I’m going to be catching up on some races from last year, but let’s start with my most recent one because it is SO MUCH FUN! 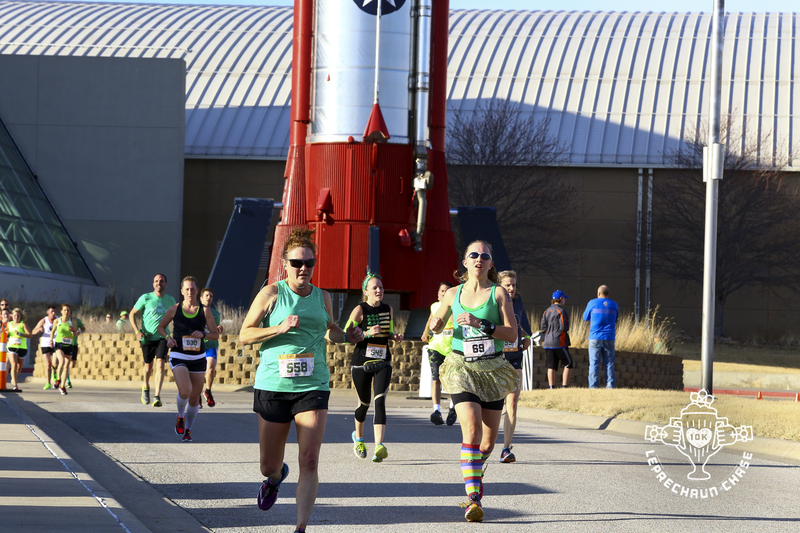 The Leprechaun Chase is a 10K right here in Nebraska that starts at the Strategic Air and Space Museum between Lincoln and Omaha and winds through the hills of Mahoney State Park. Yes, parts of Nebraska are hilly and we live in those parts! If you’ve been around here for any length of time, you know that I am very proud of my Irish heritage and love all things related to Ireland, green, St. Patrick’s Day, etc. 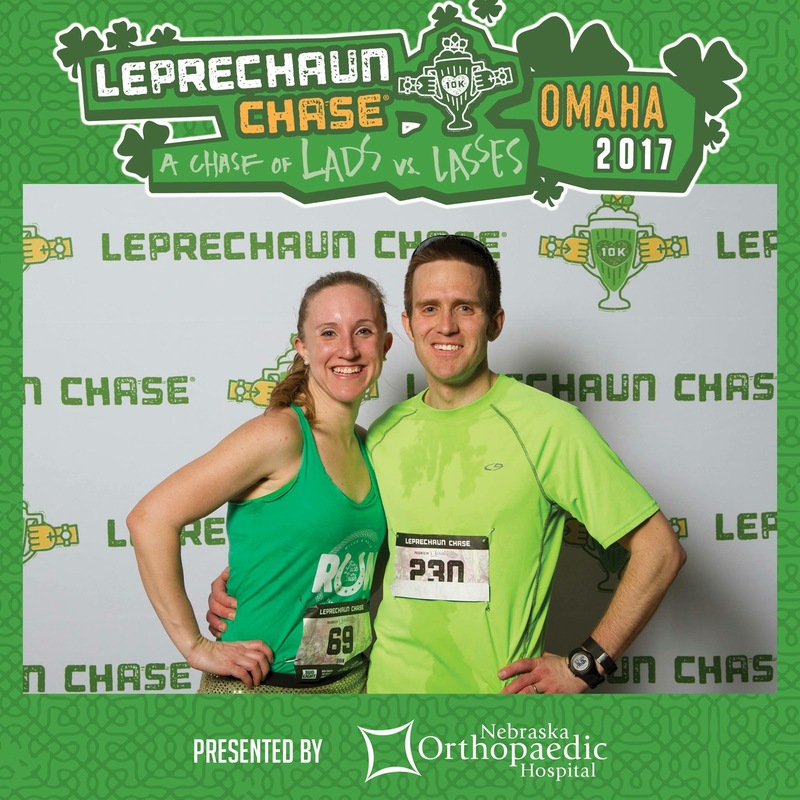 The Leprechaun Chase had been on my list to try for a while and I finally ran it for the first time last year with a friend. 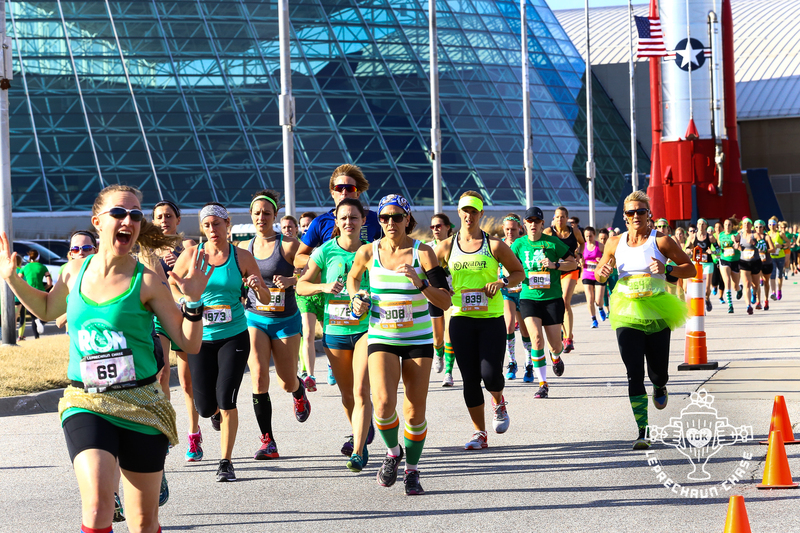 The race did not disappoint as people were DECKED OUT in everything green and wonderful. This year was different because I decided to race the Chase. Even with the hills and unpredictable weather, I wanted to give it a shot. 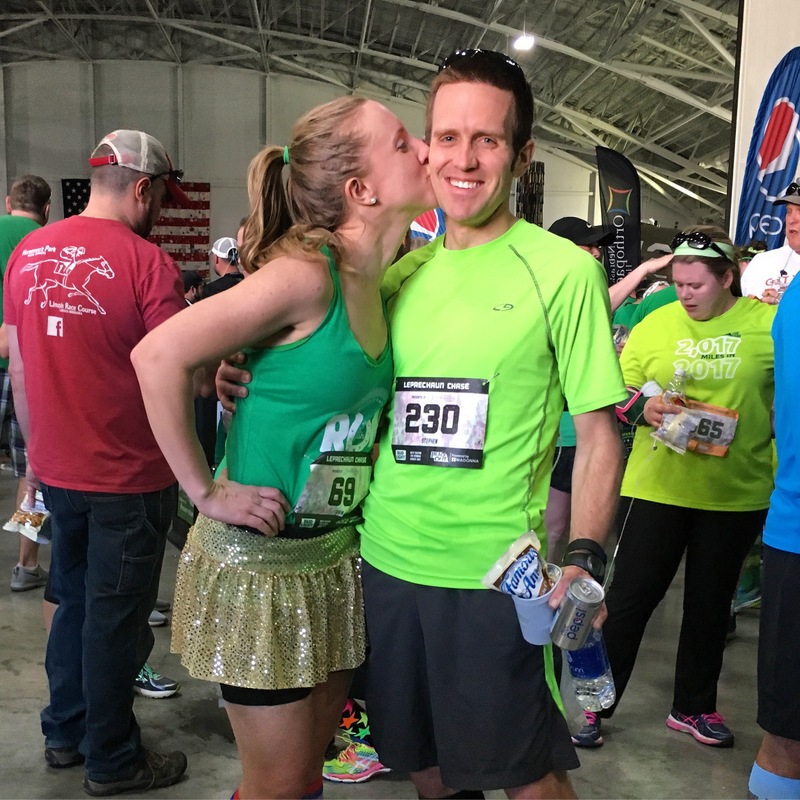 I’m currently training for my third full marathon, but my coach/husband worked in some great 10K specific workouts in the weeks leading up to this race. Of course, choosing my race kit was a top priority. I landed on green, rainbows, and a pot o’ gold skirt! 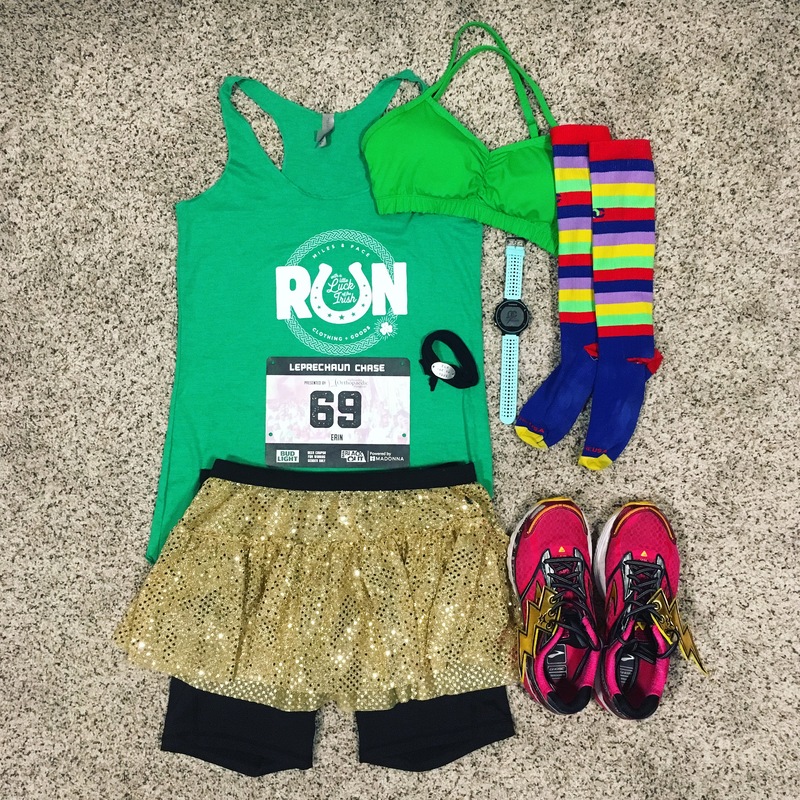 Miles and Pace JUST came out with this fun St. Patrick’s Day-themed tank and sent me one to wear on race day! It is so fun and all the green items in their shop ship free this month when you use the code LUCKY at checkout! 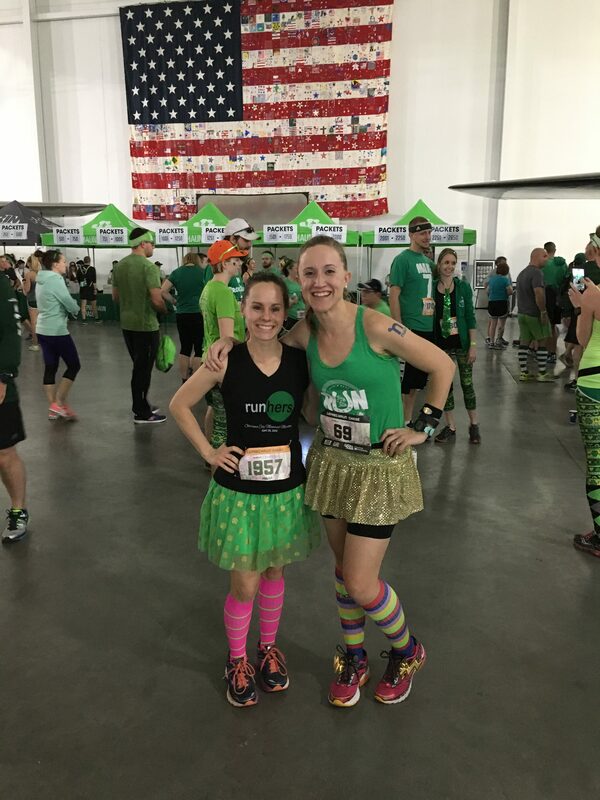 PRO Compression socks are a must for every race for me, but this was my first time wearing a Sparkle Athletic sparkle skirt and Shwings lightning bolts for a race! You CAN race hard AND have fun! My goal for the day was to break 50:00. My previous official PR was 51:04, although that was on a course that was .28 miles long, so I knew I could easily beat that. I lined up with my friend Kim in the “Lasses” lane. 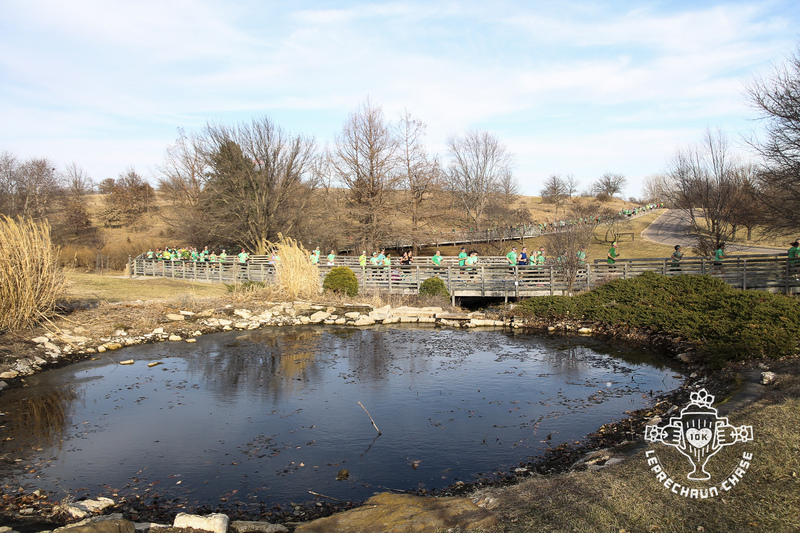 At the Leprechaun Chase, the women start first and the men (Lads) start 5:30 later. They are literally chasing us down! If a woman comes in first, the lasses get free beer, and if a man comes in first, the lads get free beer. I took off with the women at 4:00 PM. I am a morning runner, so the late afternoon start felt very weird, but I did a much better job of fueling and hydrating throughout the day this year, so it worked out ok. I started off strong because I knew the hills wouldn’t be so bad in the first few miles and it turned out the wind was mostly at our back for the first 3.5-4 miles. 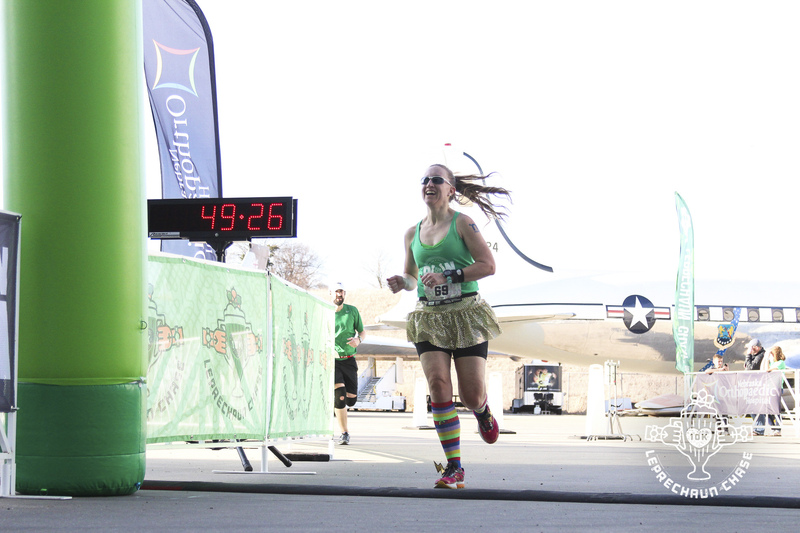 Normally, I wouldn’t want my first mile to be my fastest of the race, but I’m glad it was this time around because it saved my overall time! My first three miles felt very strong at 7:40, 7:52, and 7:54. And I was still smiling! Things got real in the middle of the fourth mile when you start making the climb back up all those lovely hills you just went down. Yikes. Mile 4 felt like the same effort as the previous miles, but came out as an 8:04/mi pace. It was a fight and it was about to get worse. Let’s talk about the wind. We already established Nebraska is hilly, but it is also W-I-N-D-Y. It was especially windy this weekend. 25+MPH during the race. Not cool. 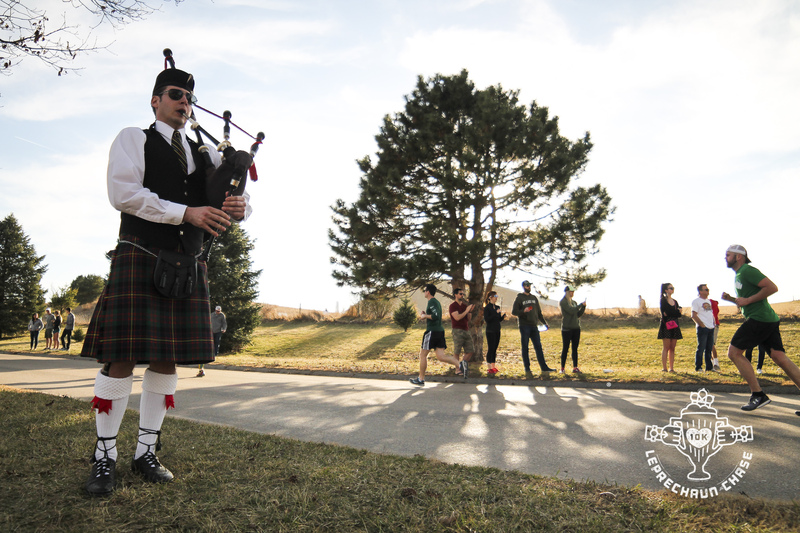 I run in the wind and the hills often, but that combination during a race was rough. We turned into the wind around mile 4.5 and they didn’t let up the rest of the race. This is all I remember from the last two miles – the bagpipes, trying to get my breathing under control, powering up hills and cursing them in my head, making sure I didn’t lose my footing on the short, but TOUGH, off-road uphill turn before mile marker 6, checking my watch three million times to see how close I was to breaking 50:00. Oh, and trying to will myself to not throw up. Usually, seeing a milestone near the end is encouraging, but even after seeing the huge rocket in front of the museum, I knew I had one more hill to conquer before the end. I was pushing so hard but only running 8:04 and 8:06 for miles five and six, so I knew I needed one last kick to make sure I saw a 49 at the start of my time. After passing mile marker #6 and getting to the top of that last hill, I was able to pull out a 7:17/mi pace to finish out the race and come in at 49:21 (official time)! I was elated, but also TOTALLY DONE and had to lean on my hubby who was waiting at the finish line to keep myself from falling over. The “I’m going to throw up” feeling passed after a couple minutes and I was able to enjoy celebrating with our many friends who were also racing that day! I am so proud of every single one of them and how hard they ran in those crazy conditions! 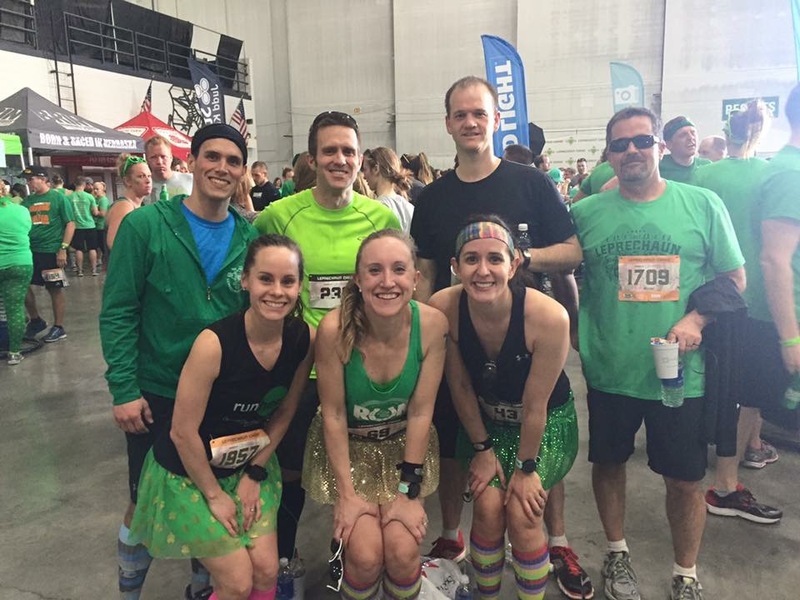 I absolutely love sharing this love of running with my hubby and our close friends! 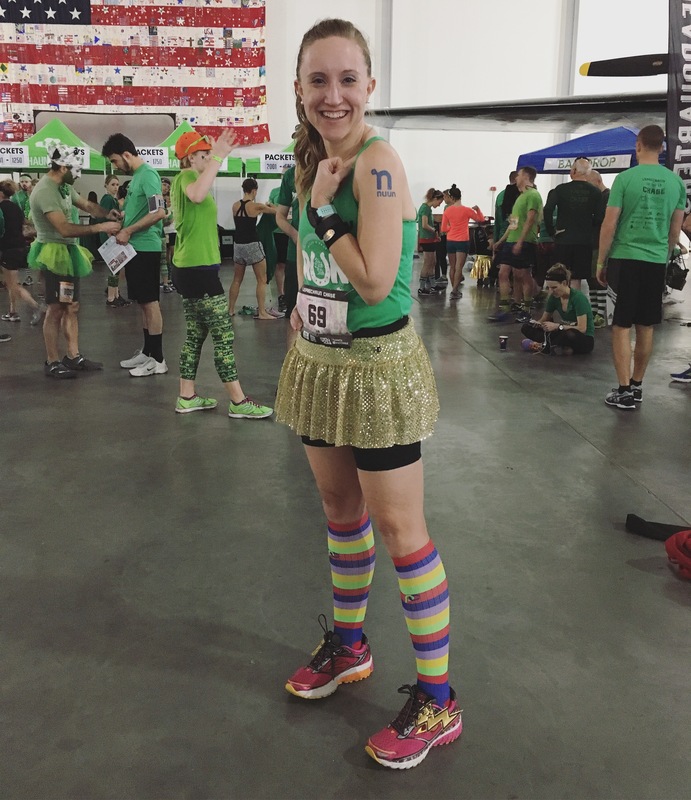 This was my first race as an ambassador for many wonderful running companies and I was proud to show them off – from socks to insoles to repping my favorite hydration solution on my arm! And before we left for the day, we had to make a visit to the photo booth! Please enjoy me making a fool of myself. You’re welcome. 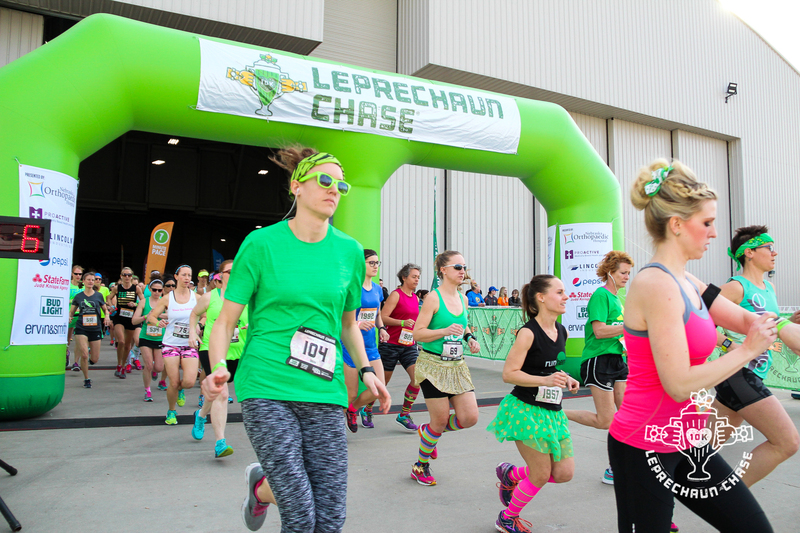 If you’re wondering if you should sign up for the Leprechaun Chase next year, the answer is YES, but you better watch for the signup! This race sells out super fast every year. 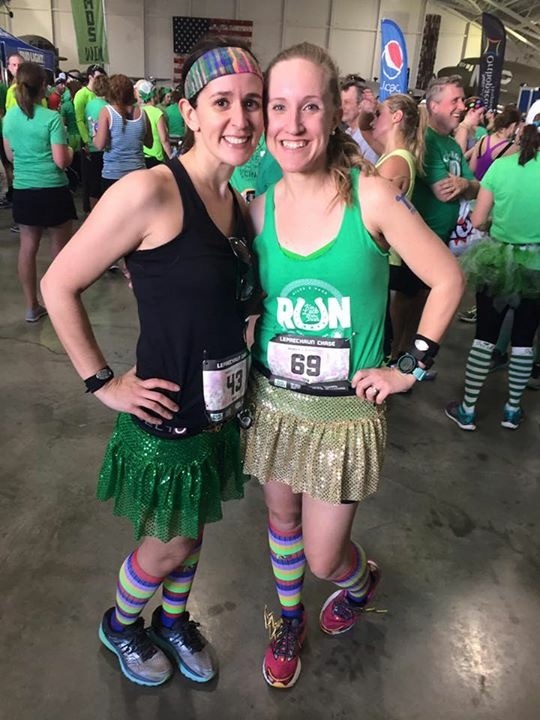 One way to guarantee being signed up for this two other great 10Ks is to do the BRIN Blackout which includes Leprechaun Chase, Cornfield Cornfield, and Harvest Moon Hustle. 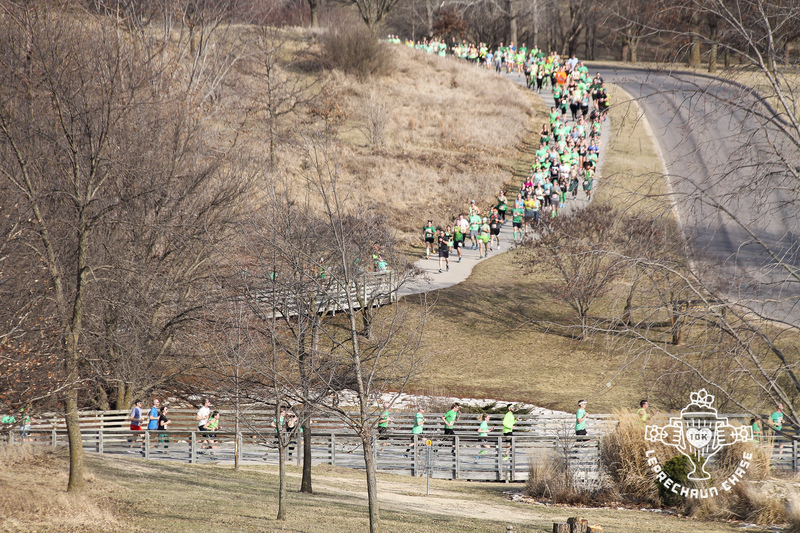 Watch for sign-up info from Pink Gorilla Events and BRIN Running Series in the fall! 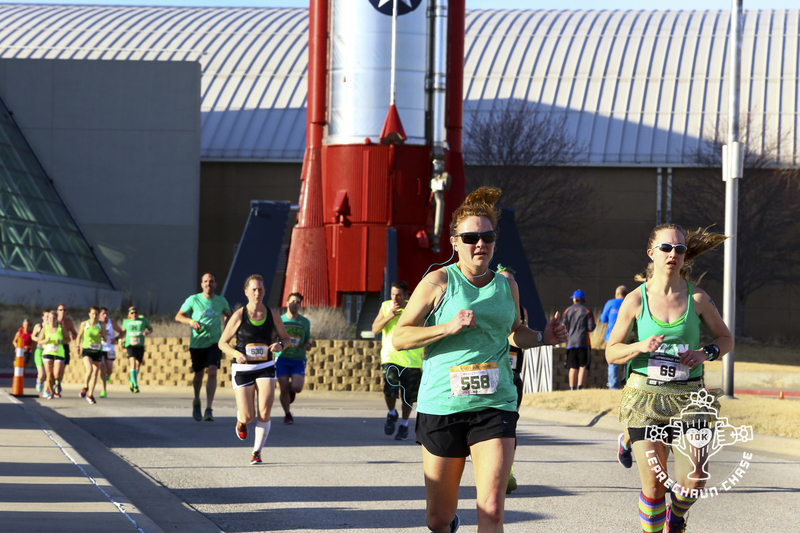 Next race: the Omahalf, a brand new half marathon here in Omaha in April! 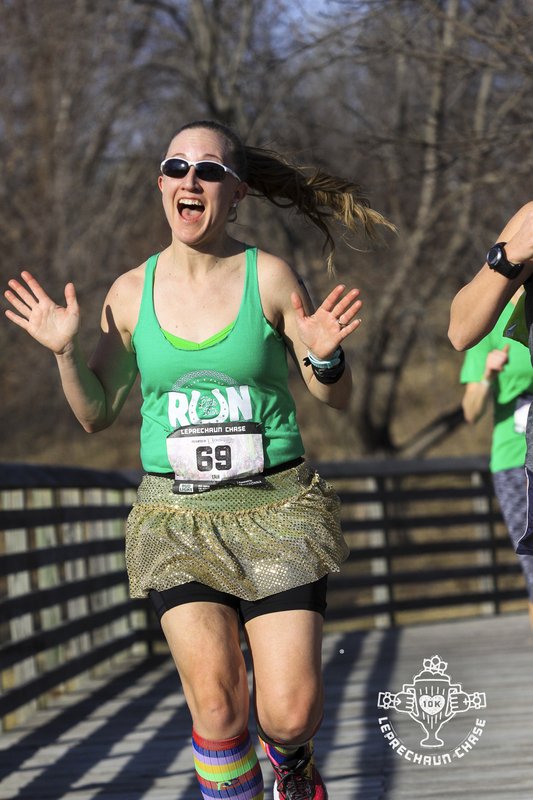 Thanks to the Leprechaun Chase for the free race photos! Why can’t every race do this?! It’s so great!